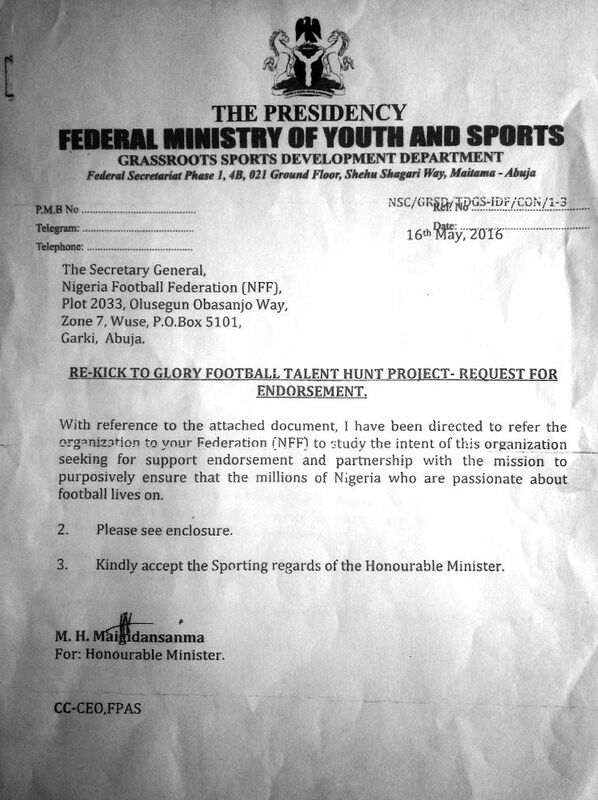 About Kick To Glory – Kick To Glory Football Talent Hunt. 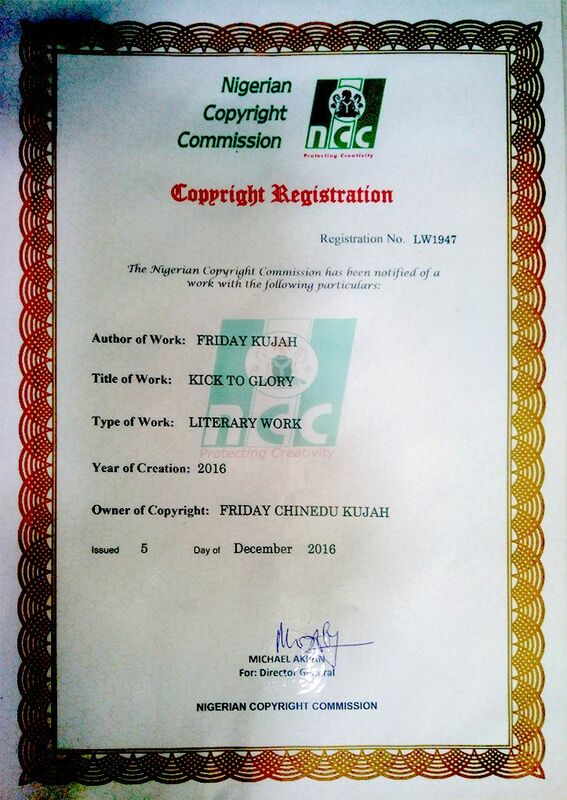 Kick To Glory Football Talent Hunt Limited, is a football project to transform young African talent into professional-level international footballers. 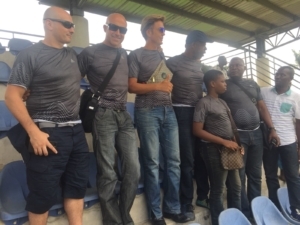 The goal of this project is to empower Nigerian and African youth by identifying football talent. It will provide thousands of football-playing youths with their ultimate dream – the opportunity to exhibit their skills for the chance to become professional footballers. For all the players involved, Kick to Glory is a exciting opportunity; for the selected few, Kick to Glory is a life-changing shortcut to a world-class professional football career. Every two months, we will assess thousands of talented candidates from all over Africa – selecting 200 or more promising talents to showcase their skills at a grand football tournament (the Football Players Annual Scouting Tournament) . The selection of the young players will be conducted by Nigerian ex-international footballers, coaches and technical experts who have decades of experience in the international football industry. Applicants who register for the Kick To Glory program will participate in 11 vs. 11 games, where the field coordinator and his team will select the best players to qualify for the second phase, the Football Annual Scouting Tournament in Lagos. Players who are selected for the tournament will participate in another round of 11 vs. 11 games, where they are closely watched by international club scouts and international football agents to determine the most promising and commercially viable players for their clubs. Why Invest in Nigerian Football Players? It is common knowledge that Nigeria produces some of the most talented football players in the world. 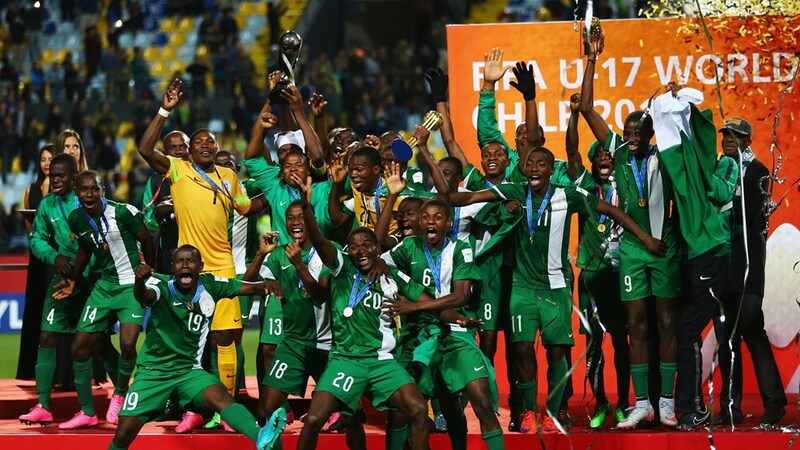 Nigeria is the only country in the world that has won the Under 17 FIFA World Cup back-to-back, and Nigeria is the only country in the world that has won the Under 17 FIFA World Cup five times. Nigerian players are transferring for record sums, for instance Kelechi Iheanacho’s 24 million GBP move from Manchester City to West Ham. 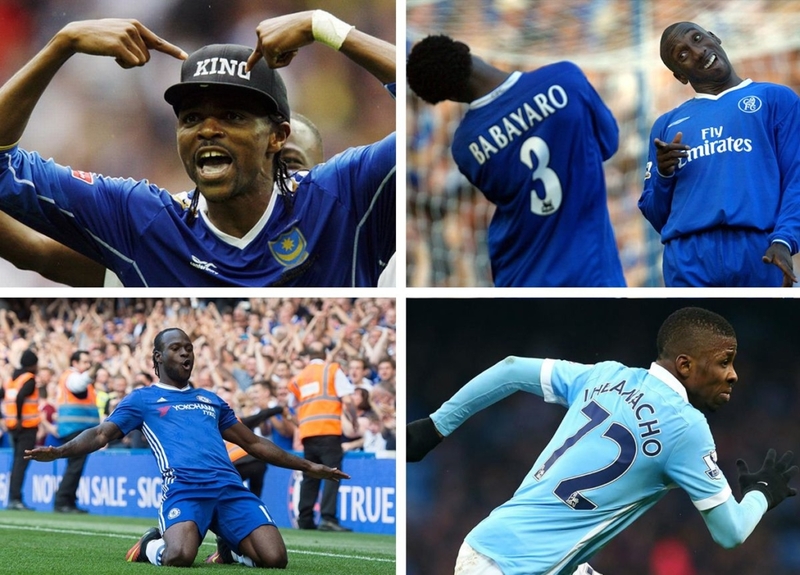 And they are making sports headlines winning cups and trophies for their clubs – Chelsea’s Victor Moses was voted Man of the Match three times in the EPL 2016/2017 season. Nigeria has a history of producing football legends such as Guinness World Record dribbler JayJay Okocha and international superstars like Kanu Nwankwo, Daniel Amokachi, Victor Ikpeba, Julius Aghahowa, Yakubu Aiyegbeni, Sunday Oliseh, Finidi George, and Celestine Babayaro to name a few. 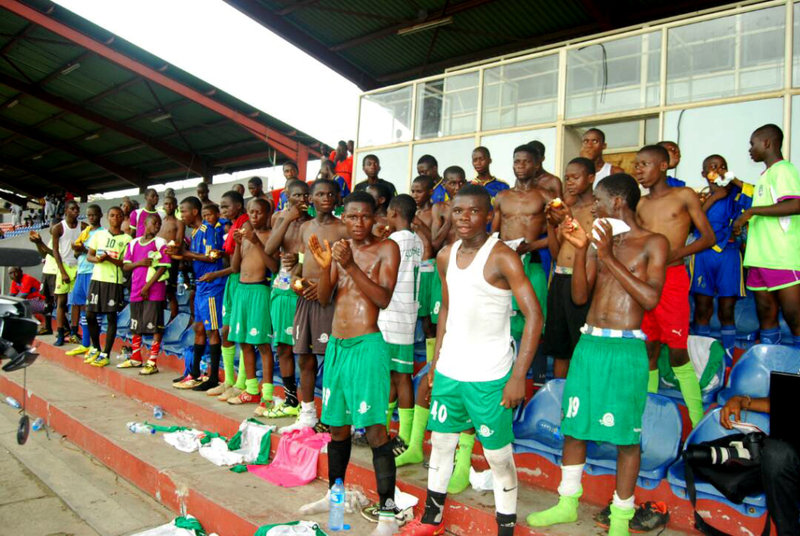 Nigeria is full of great football talent waiting for the right opportunity to become world-class footballers. A Nigerian player is a great investment for any football club. 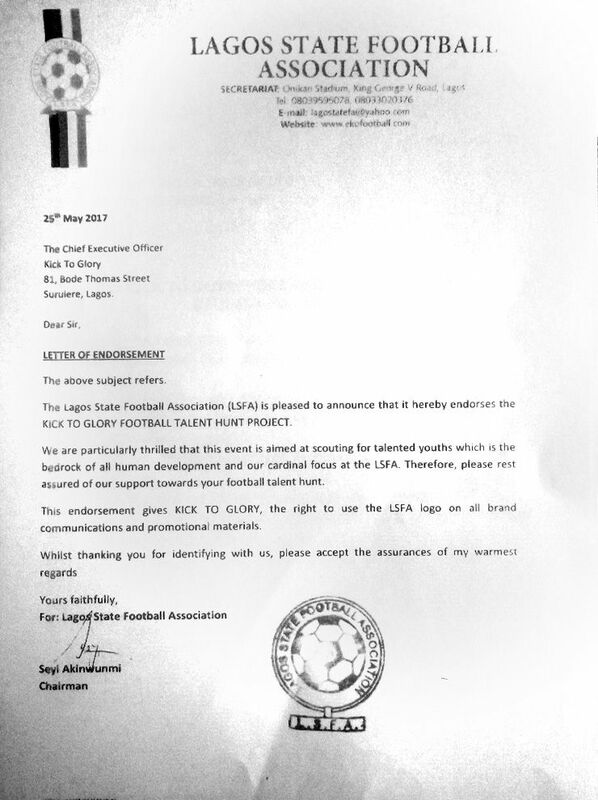 And Kick To Glory aims to make outstanding Nigerian and African football talent more available on the international football stage. To provide holistic, player-centered opportunities and an environment that engenders talent identification, talent exhibition and selection processes which result in the promotion of raw local football talent into international career opportunities. Transforming young African talent into world class footballers. To create direct relationships with the members of the football community and commercial connections that bring economic benefits for all stakeholders. Kick To Glory is founded and operated in line with the rules, regulations and best practices given by local and international football governing bodies. 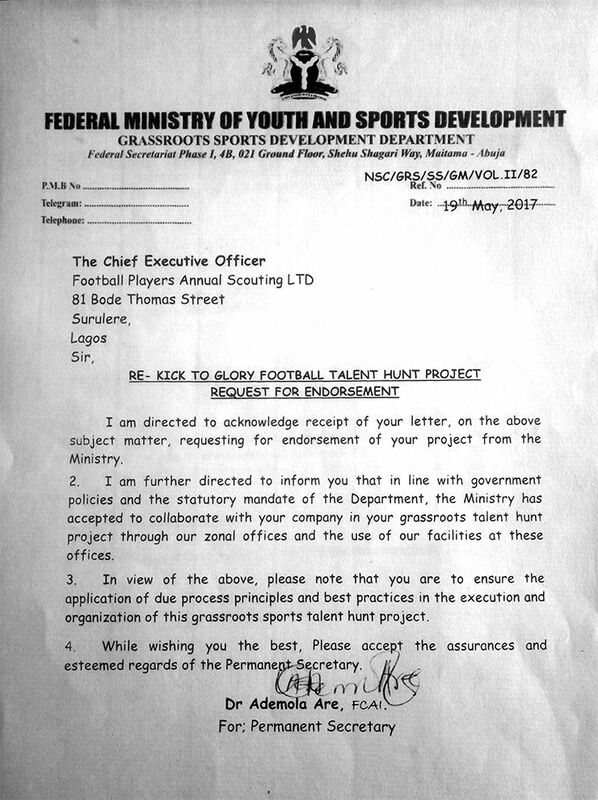 We operate with the approval and endorsement of the Ministry of Sports, the Nigerian Football Federation and the Lagos State Football Association.